Morley DDB Diamond Distortion from so called “Jewel box” series. 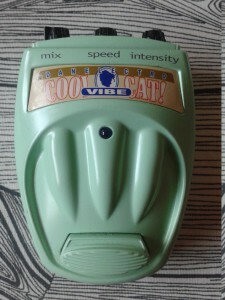 Made in US between 1995-98. 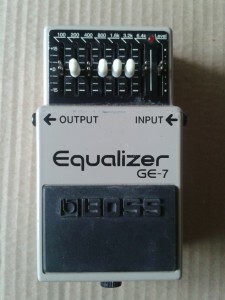 My passion for pedals and effects is something that i don’t quite understand myself. This series is perfect example. I seem to like stuff that may not be worth it. 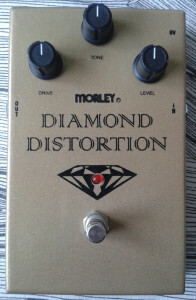 Morley is best known for their wahs and wah derivatives. 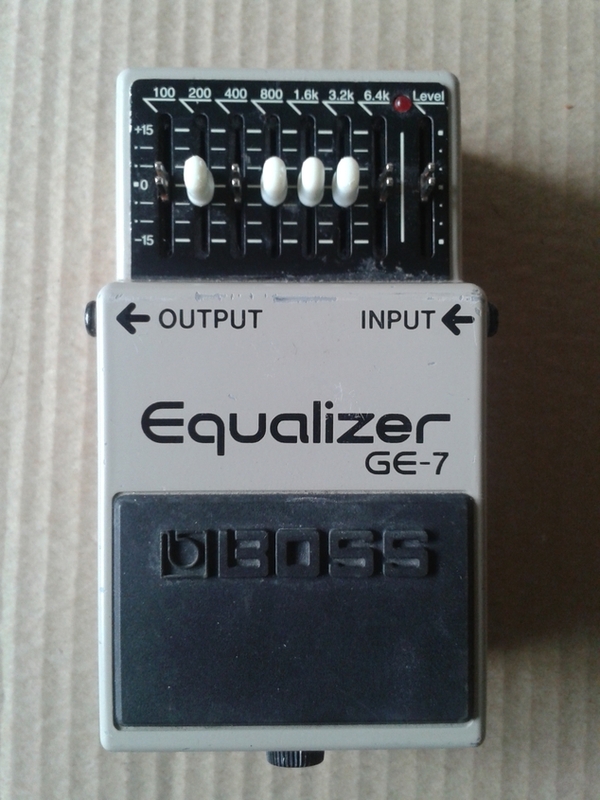 But there are some non-rocker pedals in their back catalog too. The four units in the series all share the same project box. Thin, wide and very, very long. The measurements are far away from the sidelines, missing the ballpark completely when it comes to usability. The boxes take up a half of your pedal board, but they do look pretty cool otherwise. 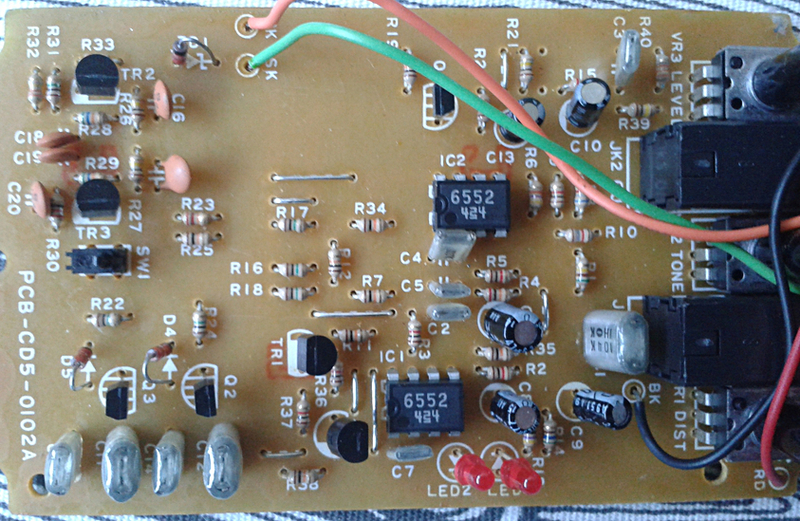 Spacious board layout shows that the same circuit could have been fitted in 1590B (or MXR-style) enclosure without issues, even using through hole components including 0,6W resistors and still there’s enough room for a battery slot. As with a few other Morley distortion designs, there is TL074 quad opamp and silicon diodes as clippers in the feedback loop of the main gain stage. 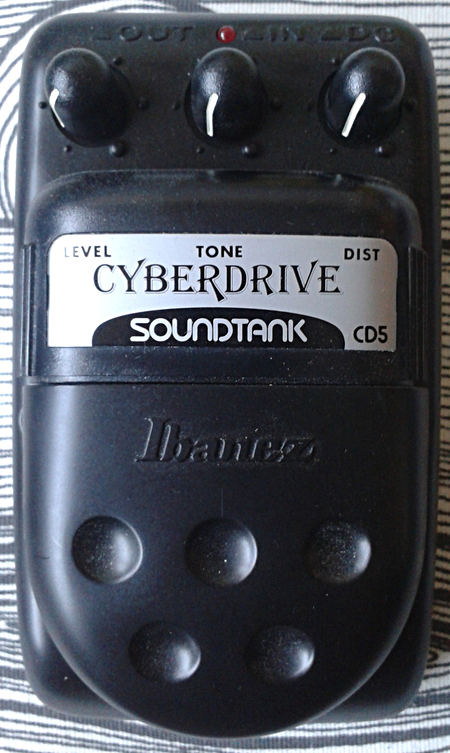 Standard three controls of Level, Gain and Tone. 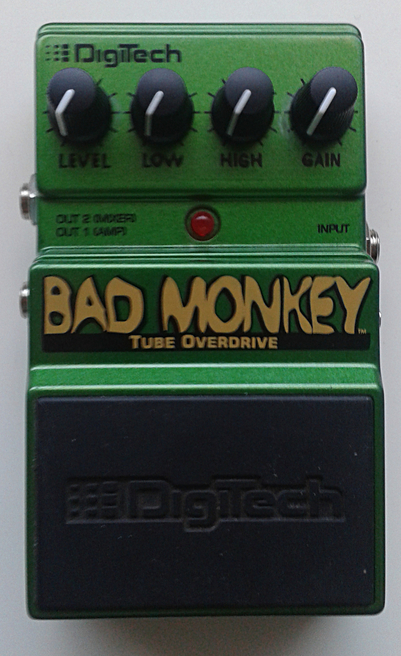 Nothing too special in the design, just straight forward buffer -> gain stage -> recovery stage -> tone control -> buffer. 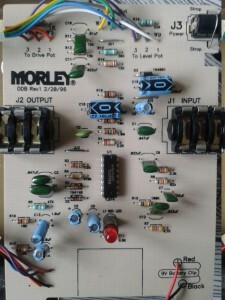 The schematic is available at Morley’s site. The schematic says it’s “revised” and dates back to ’97. Wonder what, if any, differences there are between that document and the earlier one. 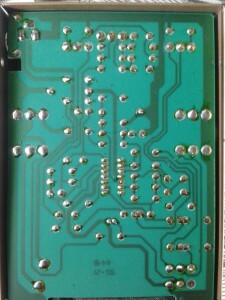 As the strip side picture of the board shows, the strips are a little wider than usual. 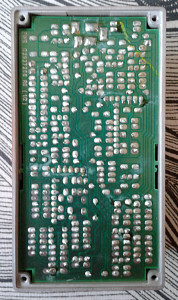 The component side shows the massive room between the components without any symmetry or other visual candies. 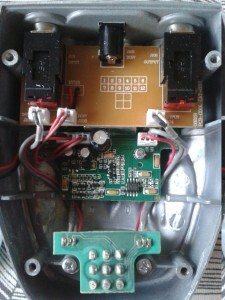 As a side note – if you’re about to open your box up for any reason, keep in mind that the grounds for the left and right side of the board connect only through the weakest part of the board, between the battery hole of the PCB and the bottom end of the box. 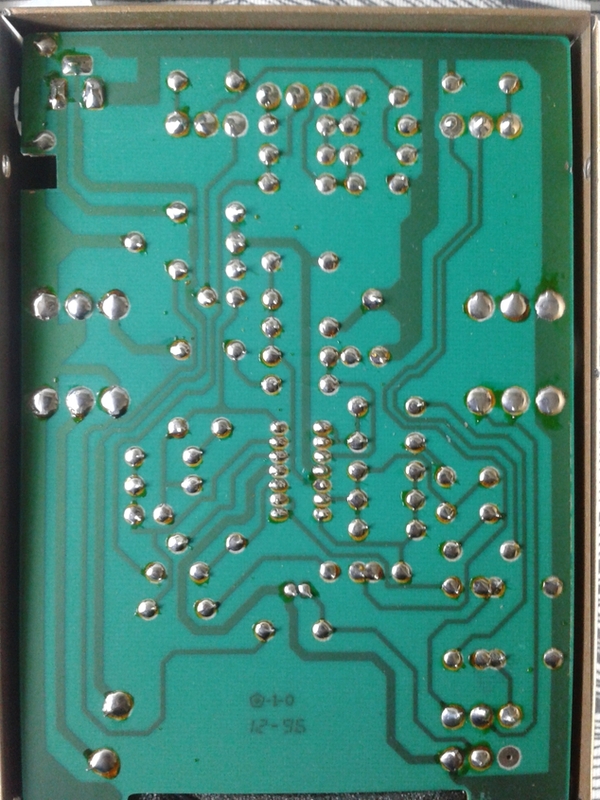 This is very stupid decision for the PCB design as the thin stripe of board can be easily broken. 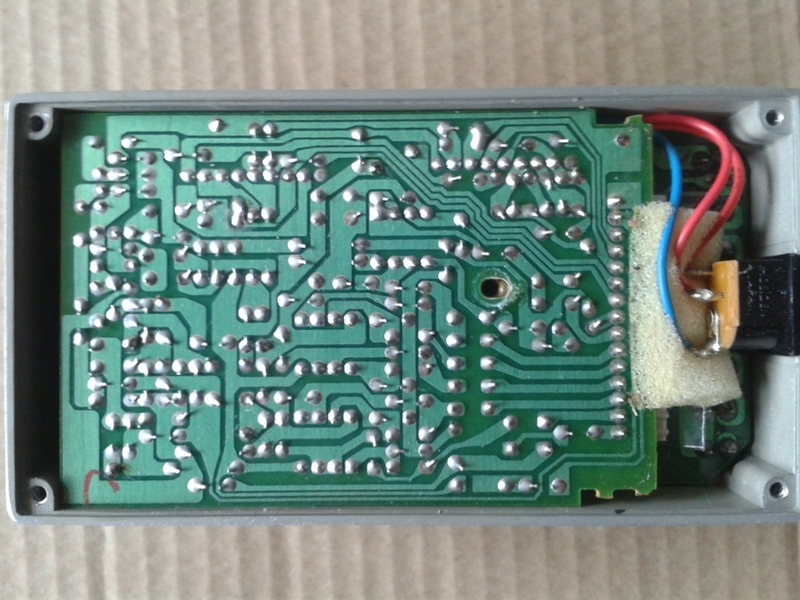 One can of course take a wire from jack ground to another to ensure that the box stays running for ever, even if that strip of board was to crack at some point due to opening the box up. Not bad overdrivish distortion. Not too great either. For your standard driven Marshall JCM900 sound, just turn the volume and tone to the max. It is usable, but with nothing special. 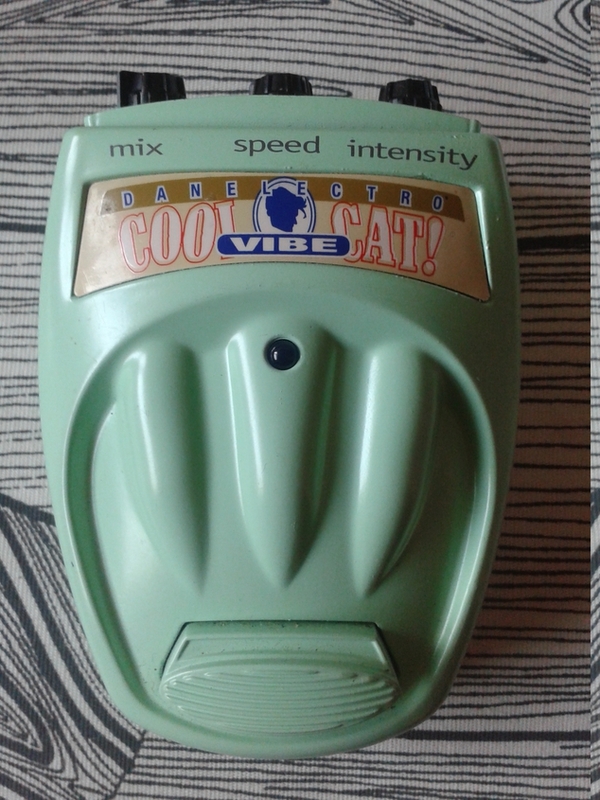 The overall tone reminds me a lot of original MXR Dist+. The gain knob takes you from mildish overdrive to heavier overdrive. Other controls are pretty much useless. Nice novelty item as everything in a “jewel box” should be. It just doesn’t sound great enough to leave an impression. Talk about severe meh-factor. Boss BD-2 Blues Driver. Made in Taiwan. Unit has nice road worn on the casing. Manufactured in april, 2004. Although i’m not deeply in love with Boss boxes, there are a few designs that i find interesting and usable at the same time. This is one of those. 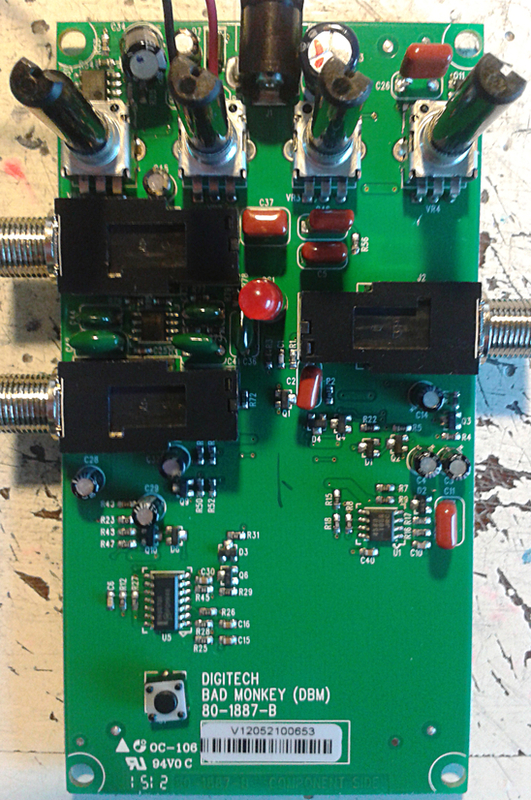 Discrete opamp and well designed JFET sound in compact box. There are a lot of these milder overdrives available from various manufacturers, but still only couple of really good ones come from big names. Boutiquers and few high end brands offer similar JFET-based vacuum tube analogy, but practically none of the mass producers do it. 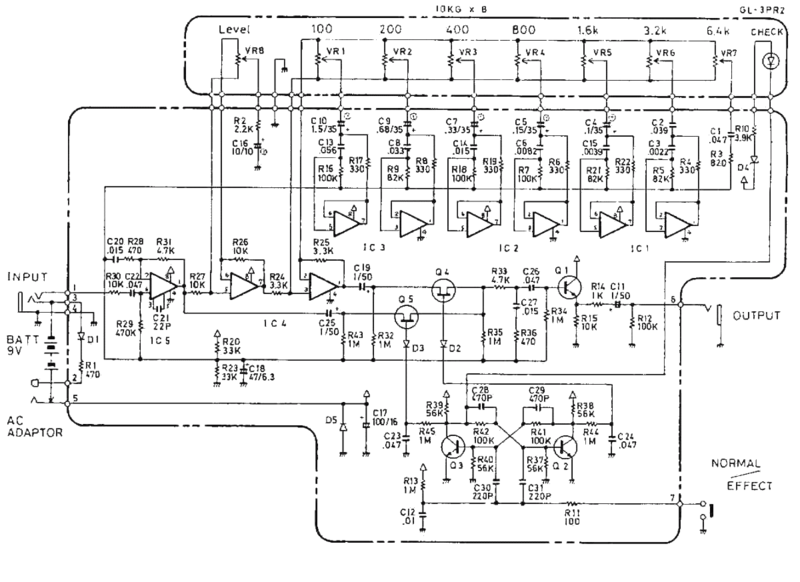 For those interested, Gauss Markov has the redrawn schematic up on his site, so check it out. There’s factory schem available at Free Info Society too. Under the hood shows the reason why most of the Boss boxes give me a severe case of meh. Autorouted, neat and clinical. 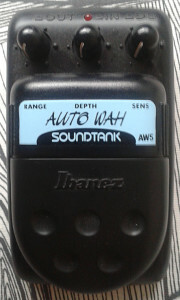 These are made to last, but not to please the eye of an aesthetic electronics freak like me. There’s a lot of spare room on the board, even though the discrete opamp stage is at least as complicated as using a standard opamp. That’s the key to the sound. 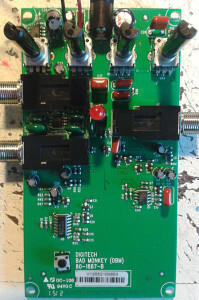 I really don’t get it why this pedal is listed high on big name modding lists. In my opinion a pedal should not be fixed if it’s not broken. 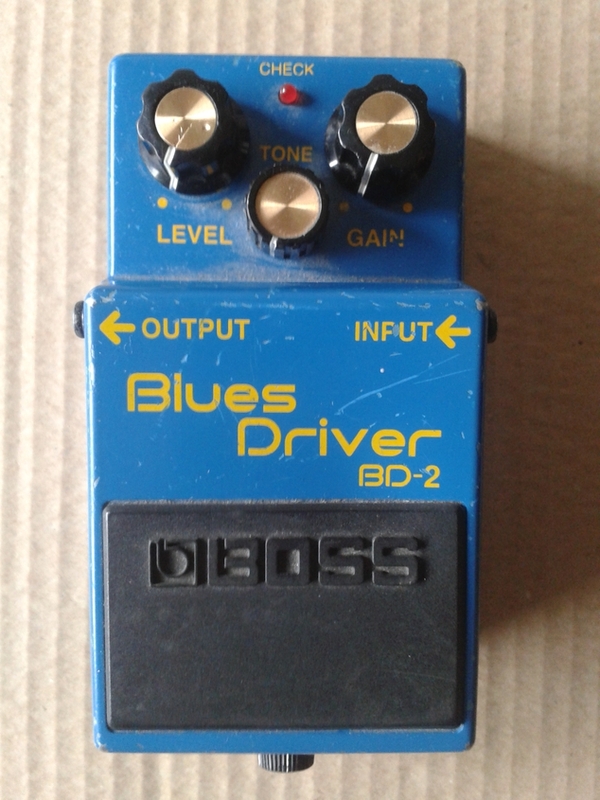 And the Blues Driver is definitely not. 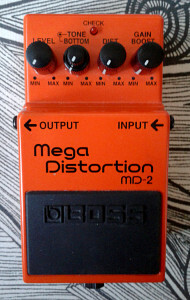 Like one of the greatest low gain overdrive/distortions. It nearly captures the feel of overdriven old Fender tweed or Gibson amp. Quite edgy, articulate and dynamic. With low gain settings this is shining as one of those always on effects. Reacts quite dynamically to the way you play. It simply sounds great, even for someone who isn’t a fan of Bosses. What on earth are you talking about this time? Doesn’t the title say it all? Ok, ok. I admit it’s somewhat ambiguous. I’ll start by talking about the diodes in general and you just try to hang on. Is that ok? Good. 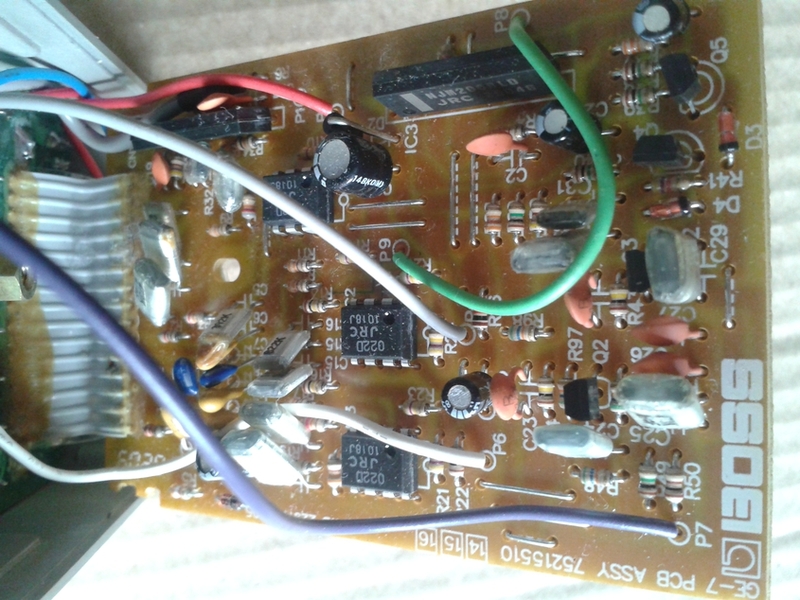 Most of you know the basic use of diodes in stompboxes. First one everyone has encountered is definitely the bright red LED that lit up when your first guitar effect pedal was first engaged. The LED is a diode as much as all the other diodes are diodes. As the name Di-ode suggests, there are two terminals to every diode. If there were more, it would not be a diode anymore. It would be a triode or pentode and so on. At simplest, the diode will pass the current and/or voltage from one terminal to the other, but not the other way around. 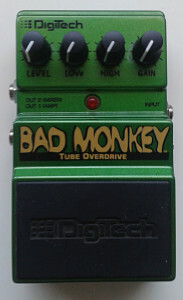 Most of you have played with an overdrive or distortion type of pedal? I know you have. 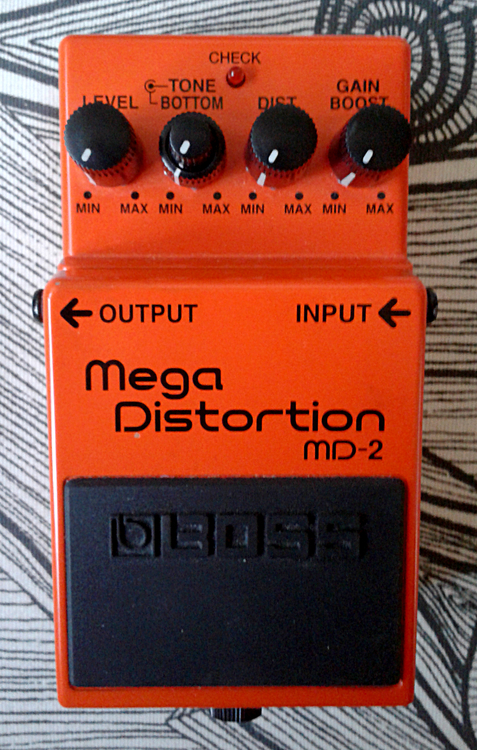 The common way to create distortion is to use back to back diodes to make the signal clip, as in distort. 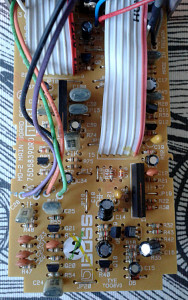 Other very common use for diodes in guitar effect pedals is to use them for polarity protection. This use has two different applications. In series and in parallel. The diodes are also commonly used in electronic switching as rectifiers for switching JFETs. And then, of course, there’s the humble indicator LED. These must be the most common uses for diodes. While there are some applications for zener diodes to lower the voltage and a few others, the ones listed above are the most common. The diode is simple semiconductor that is based on the idea of semiconducting material passing the voltage and current only in one direction. When someone had the eureka moment of placing two in parallel and in opposite direction of each other, the world changed. Earlier we had to rely on transistors driving each other to get the dirt out of our electronic guitar addons. After that moment we started having lots of harmonic distortion with ease. All of the diodes used for clipping have their own character to the clipping. The most usual 1N914/1N4148 (or any other similar Si diode) has the tight feel on the breakage. 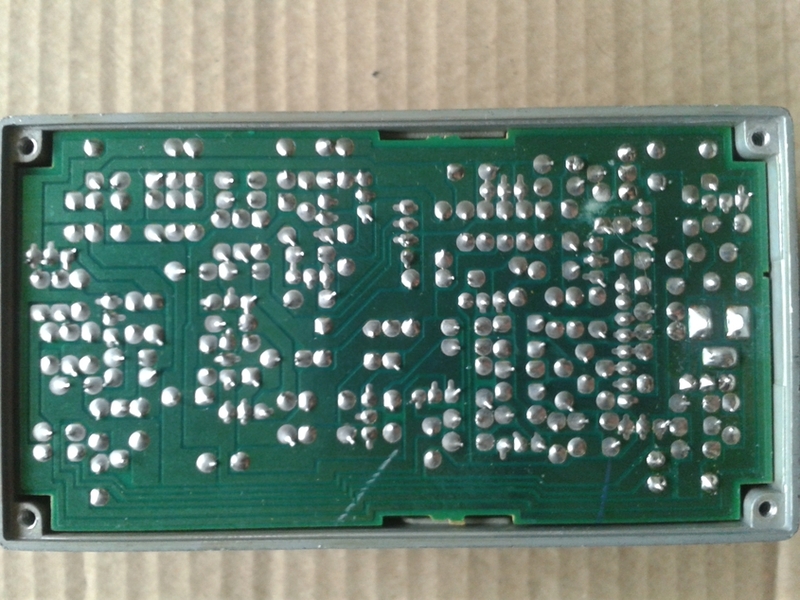 Other commonly used clipper diodes are 3mm LEDs, germanium diodes, other small signal diodes like 1N60P and schottkys. 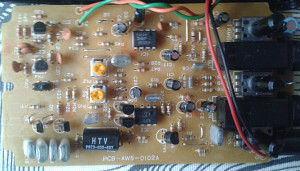 LEDs compress the signal more and offer more output level. Schottkys are quite similar in character, but slightly tighter and more bassy. Germaniums tend to offer softer sounds to the clipping, but they drop the level a lot more than any other type. Different germanium diodes also have slightly different responses, but they all share the level issue. 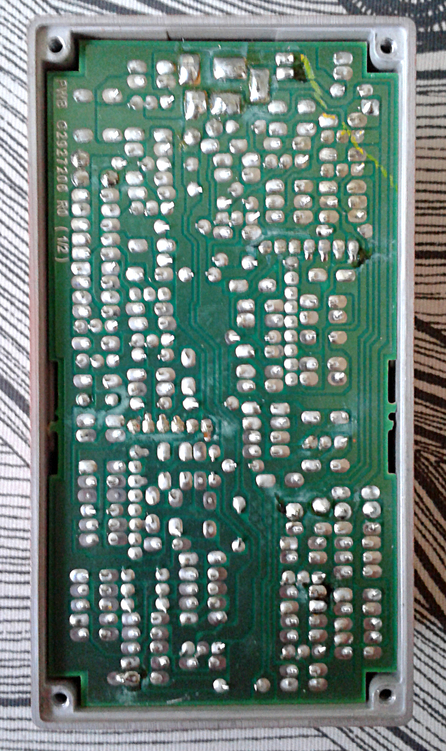 1N60Ps are close to 1N4148, but they sound more brittle and glassy. Some of you weren’t probably aware that any transistor can also be used as a diode? Just omit, snip or maim the collector and use the base as an anode and emitter as a cathode. Same thing applies to FETs as well. The current will pass from base/gate to emitter/source, but not the other way around. So that’s for the clipping configuration, how about other purposes? From the common ones, the one that’s simply more important than indicator LED to me is the reverse polarity protection. 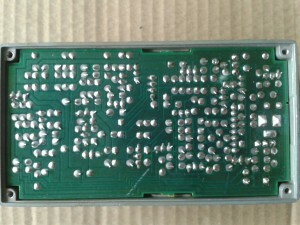 To protect the circuit from wrong power supplies, engineers have used diodes to rectify the supply voltage. There are two common, yet completely different ways to achieve this. This protection is very good thing to have, as some amplifying semiconductors are very delicate devices. Meaning that they will burn up in seconds if they get + voltage to where – should be and vice versa. First, these is the method of placing a diode anode to ground and cathode to supply. This method has a valid point, as it doesn’t touch the voltage at all. But as a huge downside, the wrong polarity causes the diode to be only thing between positive and negative lead of the supply. Meaning that all the possible current that the supply is capable of giving out is shorted through that diode, leading it to literally break down. 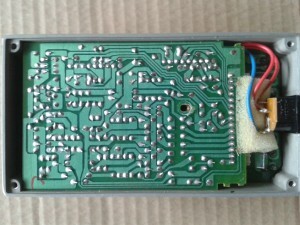 If there happens to be a fresh 9V battery as a supply, all the juice is pushed through that diode in just a few seconds. 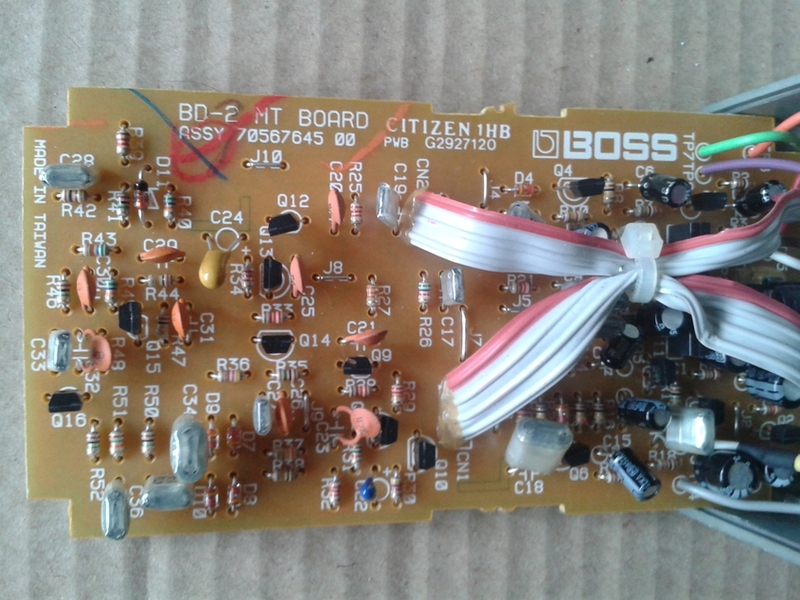 In worst case, the diode practically explodes and takes a chunk of the board with it. 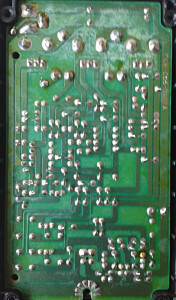 In best case the silicon semiconductor just burns up leaving the diode to act as a sort-of resistor. Either way, the effect will be completely fried if it gets the wrong polarity as its power supply. 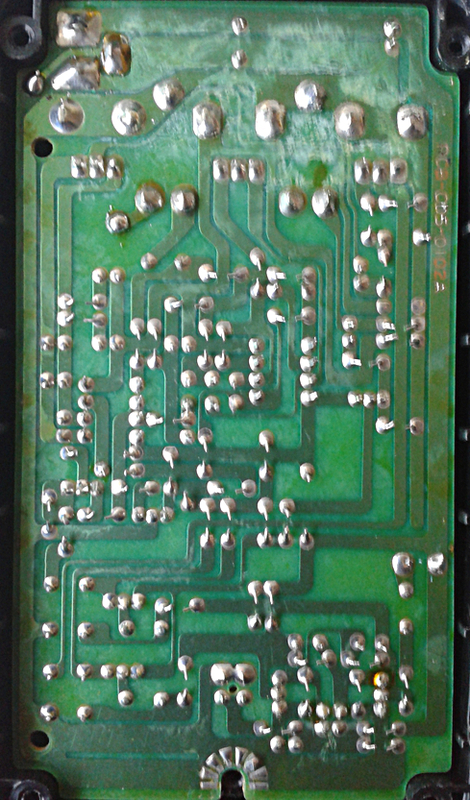 Sure it can be fixed, but it’ll need at least wire cutters (preferably an solder iron and a new diode) to get it running again. Unless the board is done for. Sadly, i’ve seen those cases too. The second method isn’t as popular in main stream big brand designs as it is for boutiquers and small brands. 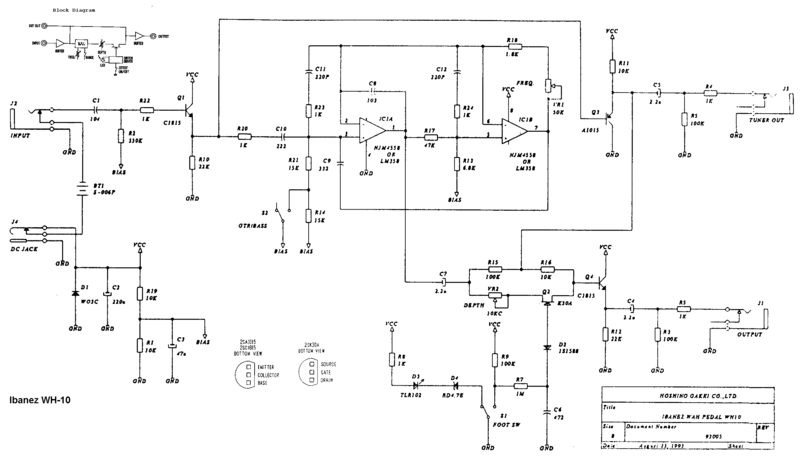 This is to take the diode in series with the supply. Yes. It’ll affect the supply voltage. In worst cases, when using a diode that isn’t meant for this application, the voltage drop could be a Volt. That is usually way too much of a drop, so using a proper diode is more than crucial. 1N5817 Schottky is one of the good ones. The drop stays low and as with any diode using this method – the board or the diode itself doesn’t get hurt if it gets the wrong polarity. Circuit simply won’t work at all. In other words, a diode in series with the supply will eliminate all current flow from the circuit without breaking anything up. What about LEDs and the other types then? The indicator LEDs are diodes just like their other counterparts. The just happen to emit light when current passes through them. Thus the name, Light Emitting Diode. By other types in this context, i mean zener diodes in particular as those are the ones we commonly find in pedals. 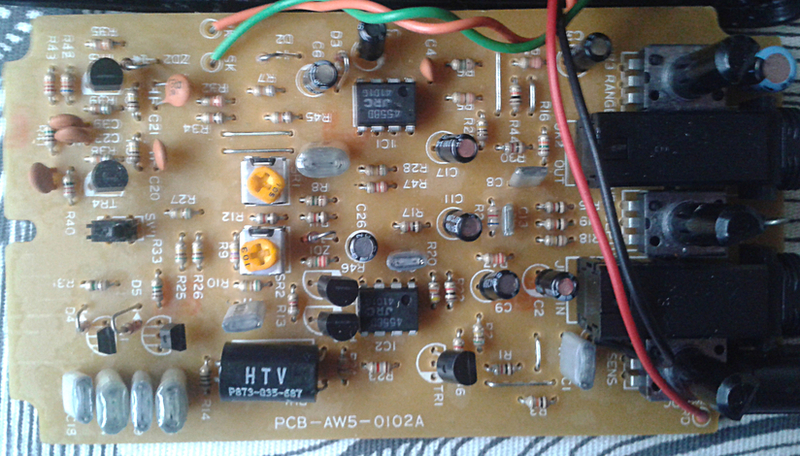 In addition to small signal diodes, schottkys and LEDs. Zeners have one very nice feature. They can be used to lower the voltage. In simplest terms, placed in parallel with the supply (anode to ground, cathode to supply), the supply voltage will be reduced to the value of the zener diode. If you use 8.2V zener in that position, the excess voltage will get dissipated through the diode, leaving the supply at 8.2 volts. I feel like i haven’t even started on this diode subject, but the usual 1000 words are already up. So, against my standard behaviour, i’m going to leave you with a wikipedia link that explains more than you ever need to know about diodes. In detail. Entries (RSS) and Comments (RSS). 46 queries in 0.205 seconds.